SAGE Automation recently launched its new corporate headquarters and Advanced Manufacturing Facility at the Tonsley Innovation Precinct, a state government initiative that has transformed the former Mitsubishi manufacturing site into a hub that combines advanced manufacturing, research, industry, skills development and the community. SAGE, which this year celebrated more than 20 years of business success, started with work in the automotive sector and expanded to diversify the business to share its expertise in industries such as defence, infrastructure, utilities, manufacturing and resources. 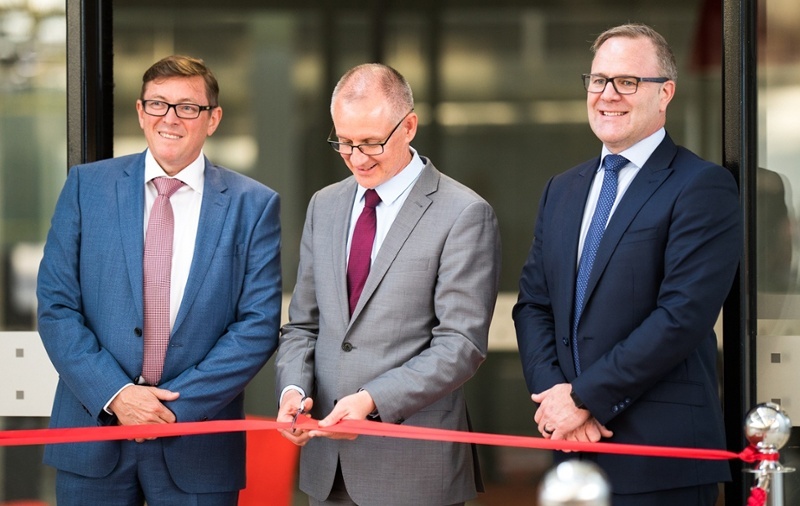 Speaking at the launch event, SA Premier Jay Weatherill, said SAGE’s journey to become the largest independent automation and control systems integrator in Australia was inspiring. “In light of Friday’s closure of Holden and the end of the car industry that once was operating right here where we’re standing, the story of SAGE is both compelling and timey,” Mr Weatherill said. SAGE has a long-standing relationship with Rockwell Automation which has resulted in the development and implementation of a suite of world class industrial automation solutions using the latest technologies. It was notably the first integrator in the world to pick up and implement the Allen-Bradley PanelView HMI terminals from Rockwell Automation more than 12 years ago, when the company’s managing director Andrew Downs travelled to Milwaukee to pick it up from the end of the line as it was the core technology used in an assembly line for a large automotive company at the time. Rockwell Automation’s territory manager Jim Burwell, who attended the facility launch, commended SAGE on their accomplishments and ‘innovative approach to re-invent themselves’ from primarily serving the one industry sector to now applying leading solutions to a diverse range of industries. “As a Rockwell Automation Solution Partner, SAGE is an extension of our company, applying our solutions in a variety of industries and applications to help customers meet their specific challenges,” Mr Burwell stated. Adrian Fahey, CEO, SAGE Group, said SAGE had a strong customer focus and commitment to invest in the latest technologies to offer them more services and industry leading solutions for their specific applications. He said the relocation to Tonsley has allowed the company to transform its Advanced Manufacturing Facility and achieve Industry 4.0 classification. “We’re not finished yet, we’re about to invest in new technologies that will put us ahead of the pack, enabling us to be competitive in a global market and take our services both nationally and internationally,” Mr Fahey stated.